Spacetime Studios, the creators of Pocket Legends, Dark Legends, Star Legends, and Arcane Legends, have released an all-new game in the Legends MMO series, but it may not be quite what you expect. 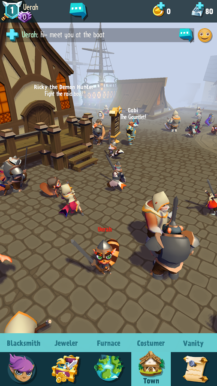 You see, Spacetime Studios has stated that their newest release Pocket Legends Adventures isn't an MMO but is "an epic, action-packed RPG adventure." For the most part, I am seeing little difference from their other games, but maybe there are larger plans on the horizon for the official release? From the outset, you will be dropped directly into a battle to learn the ropes of the default touchscreen controls and overall battle mechanics. For the most part, this is pretty easy to understand as you simply tap on the screen where you want to go and tap on the enemies you want to fight. 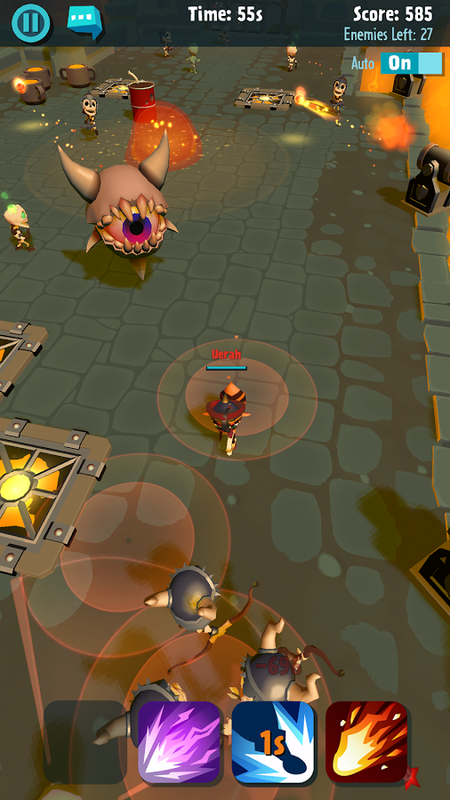 You will auto-attack any enemy you tap on, though you do retain some control with movement and special abilities. More or less it controls like the majority of action RPGs on Android. Now, I have noticed that using taps for movement does prove to be quite a lesson in micromanagement as you will be continually jockeying your character around the screen in order to avoid attacks from the enemies you are fighting. While this works as intended, the constant taps on the screen can be a real pain. A virtual d-pad for character movement, in my opinion, works a lot better. Luckily there is an option in the settings to switch to virtual d-pad controls for your movement. As for the gameplay, it seems pretty basic at first blush. The campaign mode is broken up into individual levels where you try your hand at earning 3 stars for each level you play through. The more stars you earn, the better loot you can unlock. At the beginning, these levels tend to consist of a single corridor that you fight your way down in order to tackle a boss fight at the end. Once you finish off the boss, you are taken to a screen that shows you what loot you have earned by opening a loot crate filled with random items. These items can be equipped once you go back to your home menu screen, though it does appear that the majority of upgrades to your spells and overall training have wait timers attached to them, which really clues you into what this game sets out to be, a free-to-play grindfest. Sure you earn new items and currency at a pretty quick pace at first, but as we all know good things don't always last. This brings me to the monetization of this title. It is, of course, a FTP release, so that does mean there are plenty of in-app purchases that range all the way up to $89.99. The majority of these IAPs are for purchasing the game's secondary currency of platinum, which can then be used to buy the game's primary currency of gold, or simply used for obtaining other items through the game's loot crate system. Oh, and if you were wondering if Google Play Games Services are supported, they are indeed. You can sign in with your Google account to ensure that your progress is saved in the cloud. This way you can pick up and play your character on any Android device you like. Heck, the developers have even included a Facebook sign-in for those that want to be able to play across mobile platforms. While I can't say that the public beta of Pocket Legends Adventures holds a lot of interest for me thanks to the numerous IAPs, wait timers, gacha loot boxes, and multiple currencies, those that enjoy such things should feel right at home. 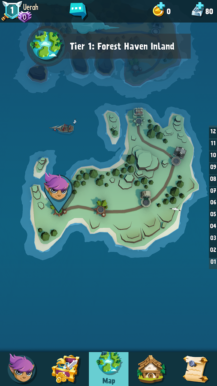 While there has been a real resurgence of MMO's and MMO-like games on Android lately, I would say Pocket Legends Adventures is one of the better looking and more streamlined releases out there today despite its FTP mechanics. So if you are interested in checking out what this game has to offer, you can install this public beta without any worry of having to put your money down, at least at first.